This hands-on tutorial shows you how to build a functioning Android application in 30 minutes that lets users access your Help Center directly from the app. The Help Center also lets users submit support requests. The tutorial uses the Support SDK v2 for Android, a shared code library that lets you easily incorporate Zendesk Support features in Android applications. Note: You can use the Chat SDK to let users chat with a support agent too. To learn how, see Quick start - Chat SDK for Android. 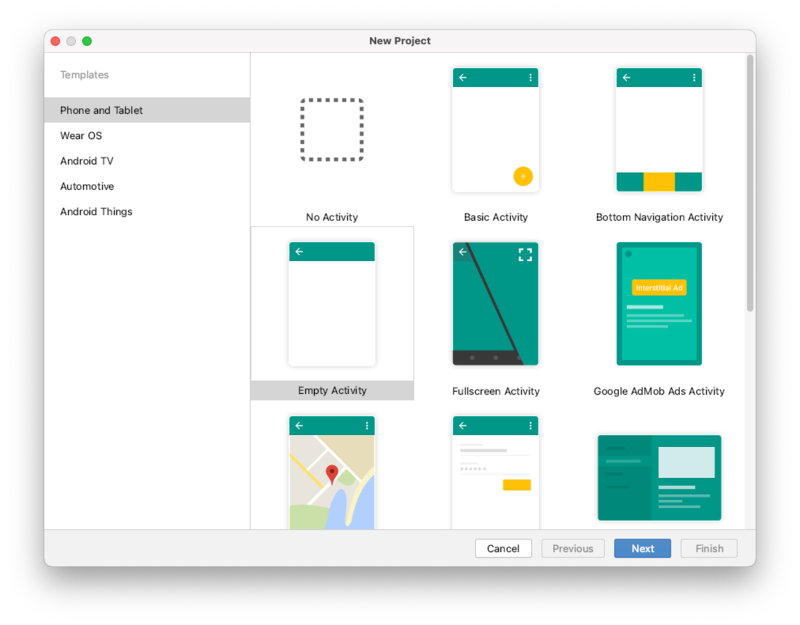 You need Android Studio to build the small Android application in this tutorial. You can download Android Studio from the Android developer website. You'll also need a Zendesk Support account or a trial account. You can request a sponsored test account that doesn't expire after 30 days like the trial account. Make sure Help Center is enabled in your Zendesk Support account. See Getting started with Guide in the Zendesk Support Help Center. Though this quick start guide provides step-by-step instructions to build a simple application, it's not an Android app tutorial, If you're new to Android development, I highly recommend working through the lessons in Building Your First App on the Android website. The tutorial uses version 2.1.1 of the Support SDK. Disclaimer: Zendesk provides this article for instructional purposes only. Zendesk can't provide support for third-party technologies such as Android and Android Studio. Please post any issue in the comments section below or in the Zendesk SDKs community, or search for a solution online. 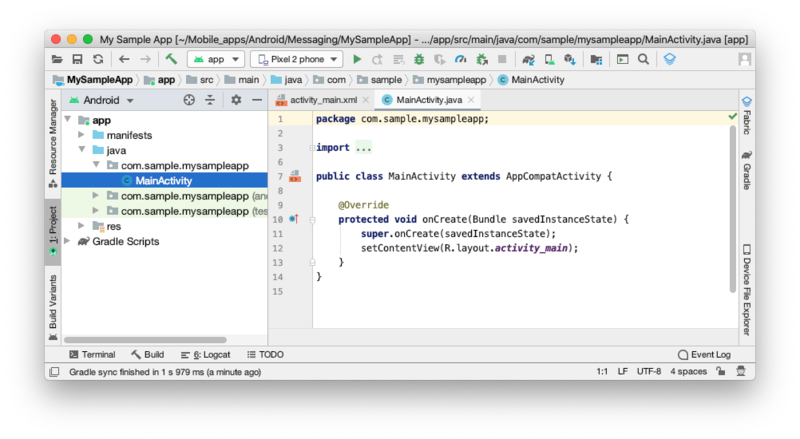 This section shows you how to create a quick sample project in Android Studio. You'll use the project to try out the Support SDK. In Android Studio, select File > New > New Project. If you're on the welcome window, choose Start a new Android Studio project. For target devices, select Phone and Tablet with a minimum SDK of API 16: Android 4.1 (Jelly Bean). Select Empty Activity and click Next. Change the Activity Name to HelpActivity. Note: Don't call your activity "HelpCenterActivity" because it'll conflict with an SDK resource name. Make sure Generate layout file is selected. Make sure Backwards Compatiblity (AppCompat) is selected. Android Studio creates all the files and basic settings for your project. You can view the files in the Project navigator on the left side of the screen. If you don't see the files, click the first icon (the folder icon) on the upper side of the panel. In your project files in the left sidebar, locate Gradle Scripts > build.gradle (Module: app), then double-click the file to open it in the editor. Note: Make sure not to open the first gradle file, which in my case is build.gradle (Project: SupportQuickStart). 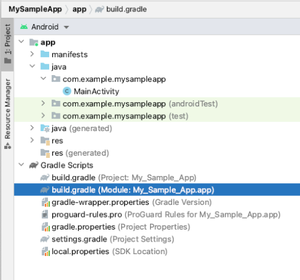 Save the file, then integrate the Support SDK in the project by selecting File > Sync Project with Gradle Files. Before going any further, make sure you successfully added the Support SDK to your project. One way is to run a test build in a phone emulator. The application doesn't do much yet, but if you don't get any build errors you know you're on the right path. You can use the emulator that’s included in Android Studio. First, you'll need to create an Android Virtual Device (AVD) definition for the emulator. Your AVD definition will specify the characteristics of an Android phone. In this case, you'll define a Pixel phone. In the Select Hardware screen, select the Pixel phone, and then click Next. In the System Image screen, click the Download link next to the latest recommended system image (Oreo as of this writing). After the download is complete, select the system image from the list and click Next. On the next screen, change the AVD Name to something like "Pixel phone", then click Finish. Be patient. It can take a while to get going the first time it starts. Once the emulator is up and running, return to your Project window, click the Run icon (green triangle) on the toolbar (or select Run > Run 'app'), and select your Pixel phone. Consider the test a success if you don't get any build errors. Before a user can use a Zendesk Support feature on their device, the application has to create and prepare an instance of the Support framework. The initialization process involves setting initial values and performing other setup tasks. You get the initialization code from your Zendesk Support admin interface. The code is generated when an Zendesk Support admin registers a mobile app in Zendesk Support. You'll need to sign in as a Zendesk Support admin, or ask an admin to complete the following steps for you. In the Zendesk Support agent interface, click the Admin icon ( ) in the sidebar, then select Channels > Mobile SDK. In the Setup tab, enter a name for your app. The name is for your reference only and is not shown to your users. Copy and save the Android code snippet. The initialization code is unique to your app and your instance of Zendesk Support. Save the code in a text file for now. For Authentication method, select Anonymous. When the application accesses Zendesk Support, it needs to be able to authenticate as a user. You can use anonymous access or JWT authentication. For simplicity, you'll use anonymous access for the sample app. Android applications are event driven, so you need to initialize the framework in an event handler. By default, your application comes with an onCreate(Bundle) event handler that runs when an instance of your HelpActivity subclass is created. You can add your own code to this event handler. Make sure the HelpActivity.java file is open in the Android Studio editor. It should be open in an editor tab by default. If not, you'll find the file in app/java/com.sample.mysampleapp in the Project panel on the left. Zendesk, Support, and context should turn red, indicating undefined symbols. You'll fix this next. Replace context with the string this (no quotes). The text color should return to normal. If you prefer, you can insert the import statements above manually. Run a build to make sure you don't get any error messages. When the application accesses Zendesk Support, it needs to be able to authenticate as a user. You can use anonymous access or JWT authentication. For simplicity's sake, you selected anonymous access when you registered your app in Zendesk Support above. Some parts of the code should turn red again, indicating the symbols are undefinined. Project quick fix can define these for you, as follows. To fix the errors indicated by the red strings, click anywhere in a red string, then press Option+Enter (Mac) or Alt+Enter (Windows). Repeat for each red string until the text color returns to normal. Save then run a build to make sure you don't get any error messages. If everything checks out, you can start adding support features to your application. The Help Center feature in the Support SDK is designed to open in response to an event such as a button click. If the Design view is displayed, click the Text tab in the lower-left corner of the editor window. You'll change the layout to a vertical LinearLayout containing a single Help button. In the Project window, make sure the activity_help.xml file is open in the editor. If not, you'll find the file in the res/layout folder in the Project panel. Notice that the button text is a reference to a string resource: "@string/help_button". You'll add the string resource in the next step. Save the files, then run a build to make sure you don't get any error messages. You'd like your app to open Help Center when the user clicks the Help button. To do so, you'll need an event listener that detects the click event, then opens Help Center. Switch to the HelpActivity.java file in the Android Studio editor. The R.id.help_button id is defined by the line android:id="@+id/help_button" in the activity_help.xml layout file. The "@+id/" expression creates the id. Note that you must cast the View to Button before assigning it to your Button-typed variable. Make sure HelpActivity in the show() method is the name of the activity class you're in (in my case, public class HelpActivity...). Build and test the application in the emulator. After tapping the Help button, your Help Center should open in the app and let you browse and search the content. The Help Center also lets users submit support requests (tickets) and view their open requests. Tap the pencil icon on the lower-right to try it out. At this point you should have a working Android application that lets users open your Help Center and browse content. Use this sample application to experiment with the rest of the framework. For example, you can limit the number of articles displayed by specifying a list of section or category ids. You can also scope the content by supplying a list of labels. See the developer docs to learn how. Put your project under git and create branches to try out different things. You can always reset if something goes horribly wrong. Chat SDK: What happens when all agents are offline, away, or busy?